The business apology letter can be written for various purposes. There may be incidents and instances in businesses, when you may have to write an apology for various needs. This may be a genuine format where you are actually apologizing for some misbehavior, wrong decision or bad comments, etc. It may also be associated with any loss to a panel of associates or customers, etc. This may also be for the mere reason to complete a formality. In all cases you may actually be confused on how to formally say sorry. The samples will help you to apologize by framing a Sample Business Cover Letters. 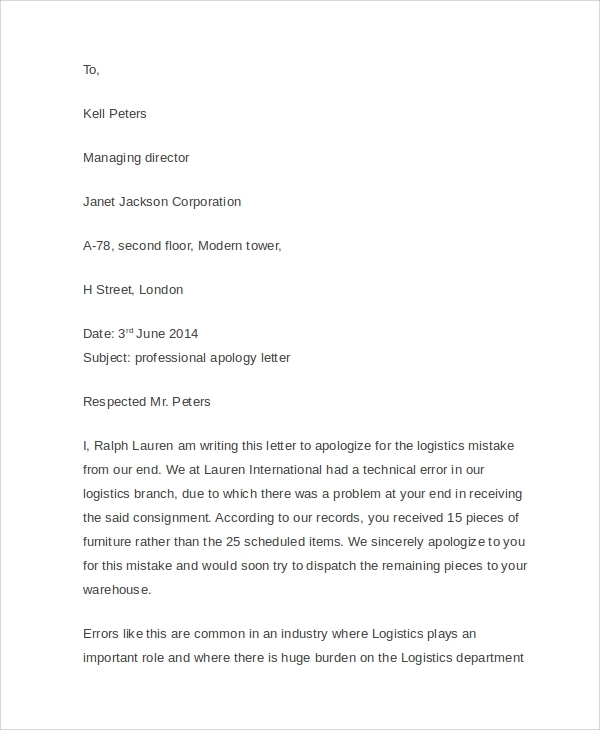 The apology letter sample or template is of much use when you have to say sorry to business associates, other members of the organization or a customer etc. 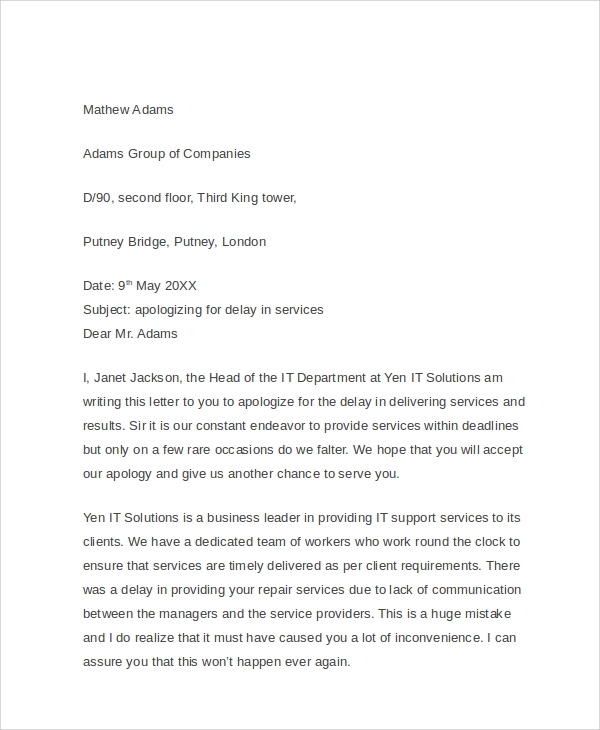 This is a useful letter format that is often used by businesses to keep customers feeling better as they get a formal apology note. The customer service apology letter, as the name suggests is typically designed to say sorry to the customer. 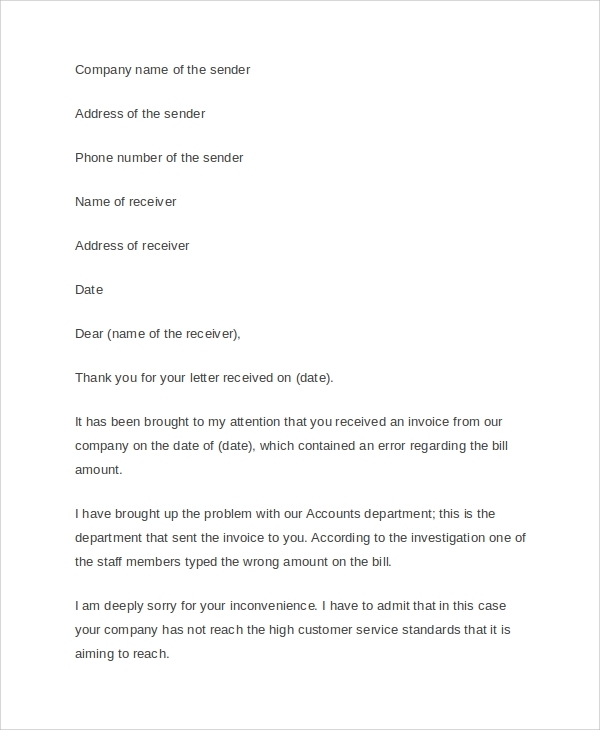 Any business will have to use such a format, and must keep the templates ready to frame a letter as soon as they face some issue that the customer complained about. 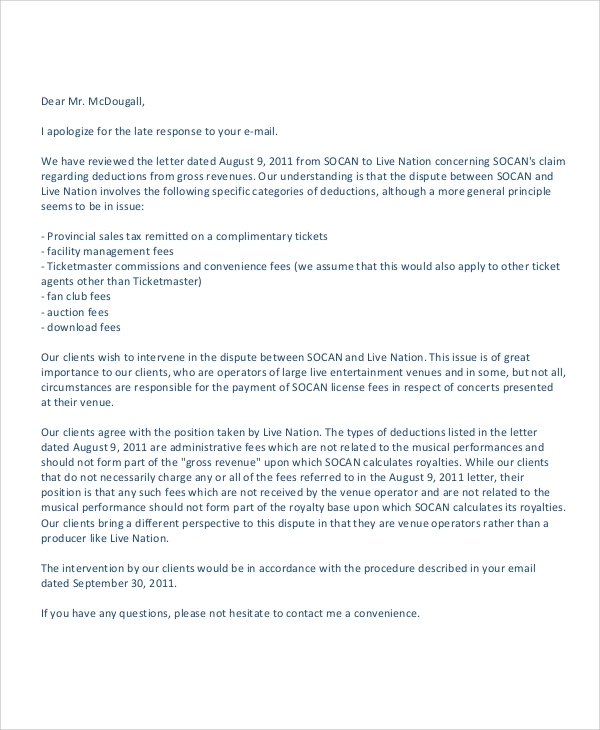 What is the Business Apology Letter Sample? Apology letters are meant to say sorry or apologize. Now if you are not much into letter writing then this may be difficult for you to figure out, exactly how you may say sorry while keeping the dignity of your business, organization or the company, etc intact. While you are not compromising on the brand or image of the company, and yet being humble enough to say sorry to the person or company, so that a business relation is not destroyed for the cause, you should refer to these samples. The business apology letter samples are actually carved out by professionals so that you may get the best writing format to rely on. 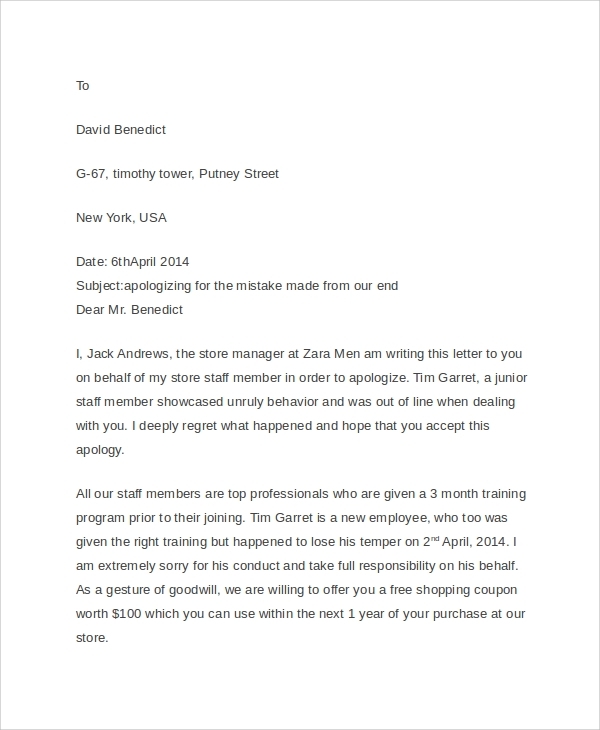 What is the Importance of a Business Apology Letter Sample? The importance of an appropriate format for a business apology letter is huge. You will not have to think much and scribble a lot, cancel a draft, and repeat it a hundred times to be able to give the best results. Rather, you may download a sample of the letter from the template banks and get going, save your time, as this is precious, and invest that effort in making use of the templates. They are used to carve out one of the most professional letter styles for apologizing, which will save your business relation, while not letting you compromise on your dignity, and also bring on a humble image of yours that will be admired by the individual or entity to whom you are apologizing. As you plan to apologize to the customer, or other business associates, etc for some reason you may be firstly be confused about the style of writing, and the language you should select. You can forget this confusion when you avail a ready made format for framing the apology, specially for business purpose. The examples of apology letters are free for download, and can be availed in PDF and Word file formats, so that you may be able to improvise on some parts to customize or personalize, and print it straightaway for use. You can also see Sample Apology Letters. One of the best things you may do about the letter writing for businesses is consult the standard format that is available online for reference. This will always let you make standard letters that will make a good impression of yours in front of associates or customers. 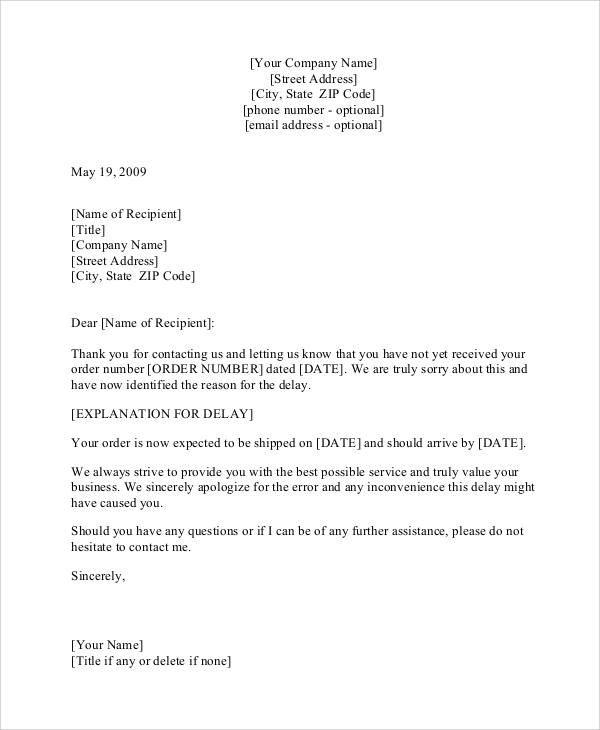 Referring to a Sample Formal Business Letters Format always save time and energy and provide good results.